10 Tasty Slow Cooker Beef Recipes . At the same time, beef is incredibly versatile. There are so many different cuts out there and each type of cut has its own place. For that matter, a slow cooker is an especially good choice for some of the tougher and cheaper types of beef, as the long cook time will make these tender and flavorful. But, there are also slow cooker recipes for fast-cooking and more tender cuts as well, which again speaks to the versatility of beef. In this list, I’m highlighting ten different slow cooker beef recipes, which have all come from this blog. There are many other beef recipes on here as well but this selection contains ones that I am particularly fond of and that would be attractive for many different situations. Please remember to share your favorite recipes on Pinterest! There is a lot going on with these Braised Beef Shanks but the recipe itself isn’t nearly as complicated as the name and the image first suggests. Instead, it is a surprisingly simple dish that pulls in a unique combination of flavors, while creating a meal that seems to belong in a restaurant. With this recipe, the sauce is certainly the most significant component, partly because it is so unusual. But, the shanks themselves are worth a mention as well. They are full of flavor and end up very tender. For that matter, the recipe is a great illustration of how you can end up with perfect meat via the slow cooker, without a lot of effort on your part. 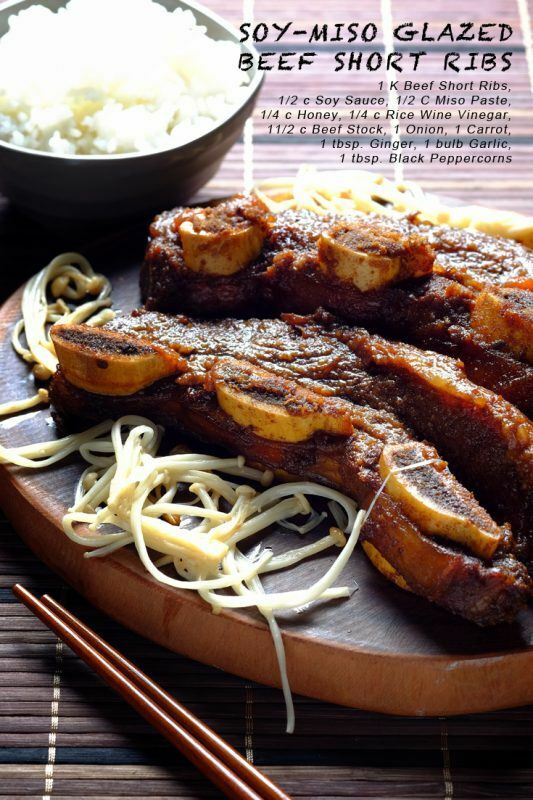 I love short ribs, which is why I was so pleased with this Soy-Miso Glazed Short Ribs recipe. The ribs themselves end up exactly like you would want, so the meat falls off the bone, while also being moist and full of flavor. But, it’s the marinade that really makes the dish unique because it offers a range of Asian flavors that you don’t normally find with ribs. Even if you’re a little skeptical of that idea, the recipe is worth trying out. The flavors of the marinade and glaze complement the meat perfectly and it’s nice to have something that’s just a little bit different. 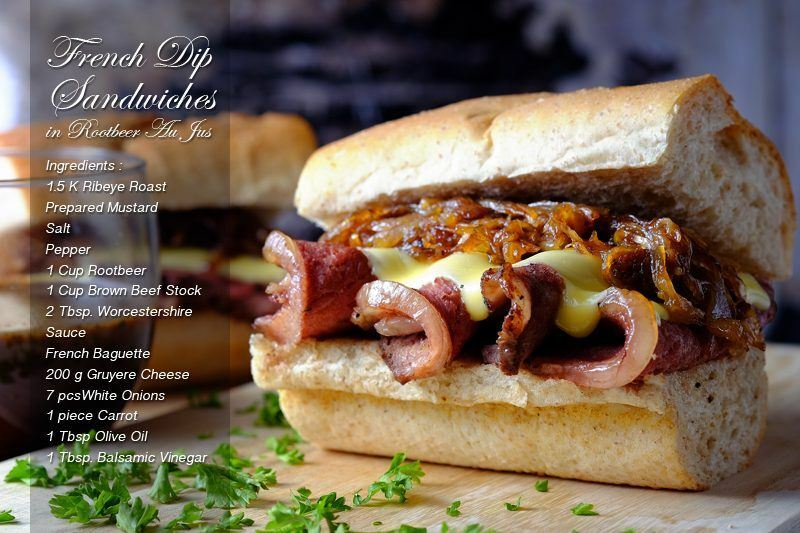 Sandwiches can get boring fast, but not when you make them like this French Dip Sandwich. Here, the recipe takes advantage of a rib eye roast that is cooked with vegetables in the slow cooker to create a complex flavor that works perfectly in a sandwich. Now, this recipe does require more prep work and less cooking time than many of the other slow cooker recipes on this site. But, that isn’t necessarily a bad thing. Instead, this style means that you can create the meal at relatively short notice and you can feed a group of people all at once. Where do I start with this Spicy Coco Milk Braised Adobo? 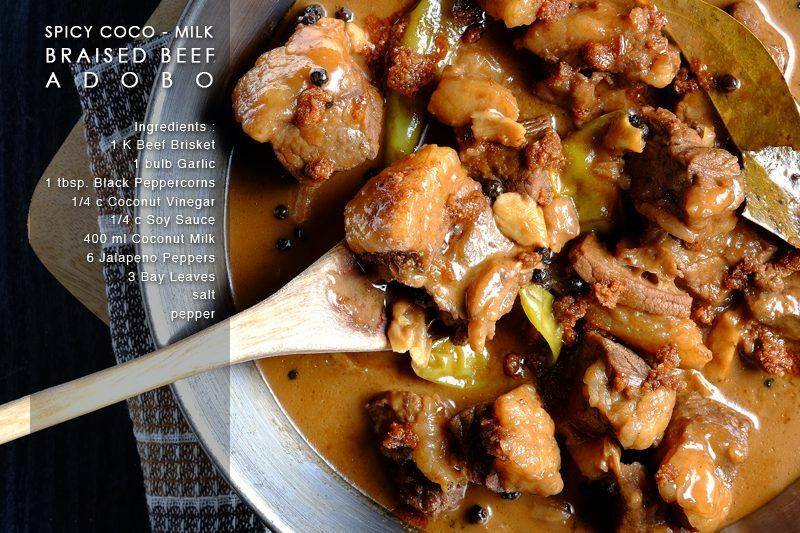 Well, if you don’t know, adobo is a specific type of marinade that has seen a resurgence in popularity. 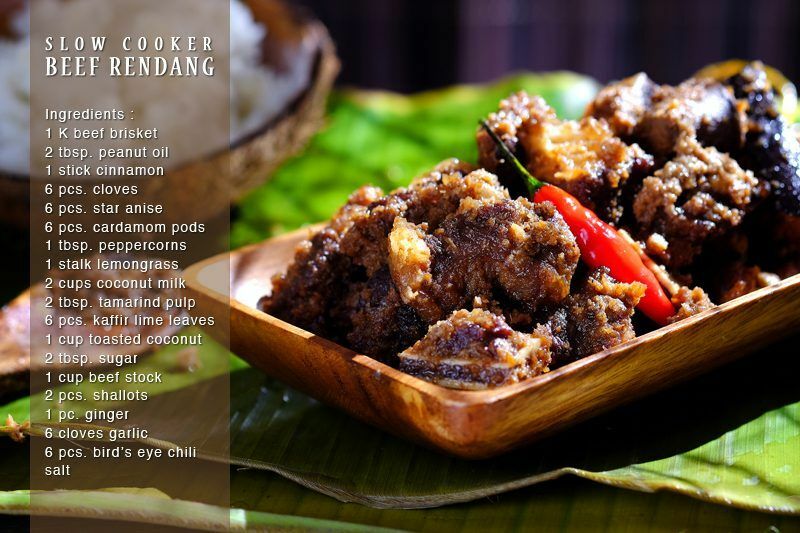 This particular recipe is a variation on that idea, one that takes advantage of the richness of coconut milk, along with the flavor of beef. Because of the marinade and the other ingredients, you end up with a fairly intense dish, one that is bursting with flavor. It goes particularly well over rice, although you could probably also use some of the popular grain alternatives as well, like quinoa. 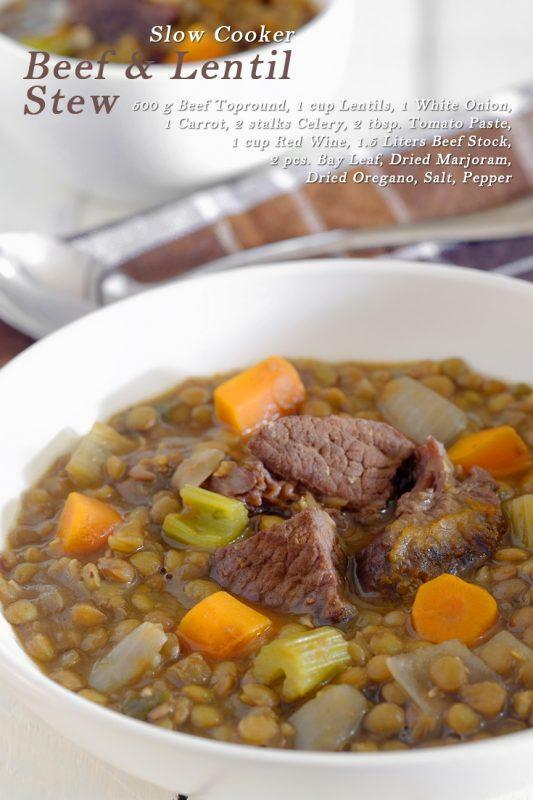 Most people that use slow cookers heavily rely on stew and soup recipes, like this Beef and Lentil Stew. After all, this type of recipe is relatively simple to make and produces a consistently good result. That’s precisely the case for this stew as well and I find that this makes a great go-to meal, especially as it is all in one pot. This is also a flexible recipe. So, you don’t have to stick to beef if you don’t want to. I often vary it up and I might use lamb or pork instead, depending on what I have in the fridge at the time. And, don’t let the appearance of this dish fool you, it does have a surprising depth of flavor and the ingredients come together very well. There are so many variations on sliders, but I love ones that focus heavily on flavor-filled home cooked components, like these Beef Bulgogi Sliders. What’s more, these sliders do actually taste as good as they look – even though they are a little messy to eat (which is part of the point, really). The recipe takes its inspiration from Korean beef bulgogi and those flavors are prevalent in the finished dish. This flavor option is so much more interesting than regular shredded beef, especially once you pair it with the kimchi slaw. This Slow Cooker Beef Rendang is a variation on a classic Malaysian dish and has a flavor profile to match. In fact, it heavily relies on spices to create a complex flavor that is somewhat unusual. The recipe also relies on marinating the meat, so it’s easy to see how the meat ends up with a stronger flavor than many other dishes. There are many things that I love about this dish but the amount of flavor is probably the most significant aspect. I also find that the meat makes a great choice for parties as it works exceptionally well as finger food. The only problem is that it never lasts long because it is too popular. Meatballs are a classic option for anybody that loves beef. 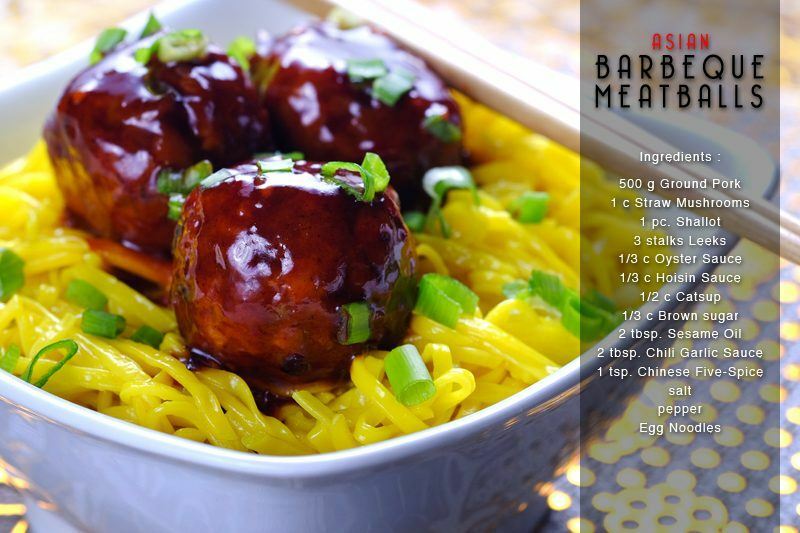 But, they can also get a little boring, which is where these Asian BBQ Meatballs come in. With this recipe, you end up with a very different flavor, one that is reminiscent of many other Asian dishes. At the same time, cooking meatballs in the slow cooker is more effective than making them in the pan and you can be sure that they are cooked all of the way through. The fun thing about this dish is that it suits both adults and kids. In particular, kids often love the flavor, while the adults may simply be pleased that dinner isn’t the normal spaghetti and meatballs yet again. 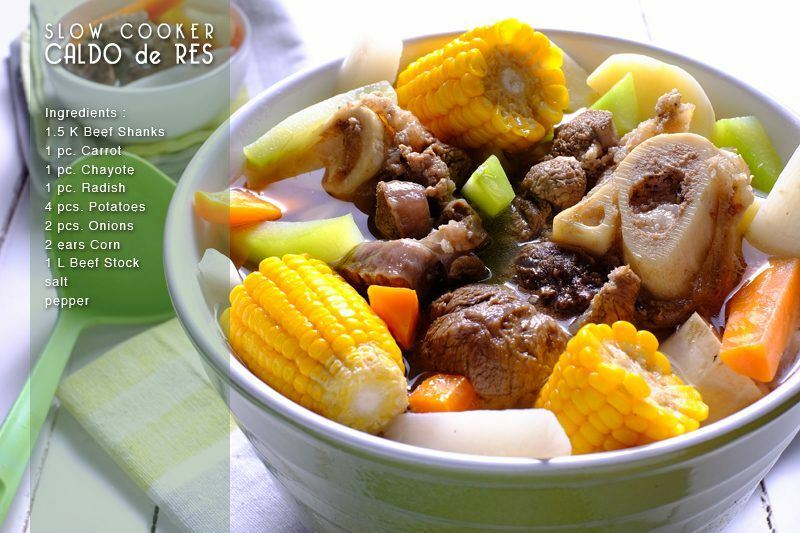 I always consider this Caldo de Res as an amazing example of comfort food, even though many people haven’t even heard of the soup and certainly haven’t tried it. One of the great things about the dish is that it relies on beef shanks and it really can’t be made with anything else. These impart an amazing depth of flavor, which is complemented by all of the vegetables that are present. Besides, you have to admit that the soup stands out visually. The different colors are one of my favorite things about it – although you could mix up the vegetables somewhat based on what you had on hand. Beef stroganoff is one of those meals that tends to be popular with just about any audience and it is a great way to take advantage of beef. This particular Beef Stroganoff recipe is fairly conventional but it is easy to make, especially as you’re relying on the slow cooker. The recipe also takes advantage of simple ingredients, so you’ll probably find that you have most of them in your cupboard already. If nothing else, the recipe makes a great go-to if you want something that is easy to prepare and also tastes amazing. 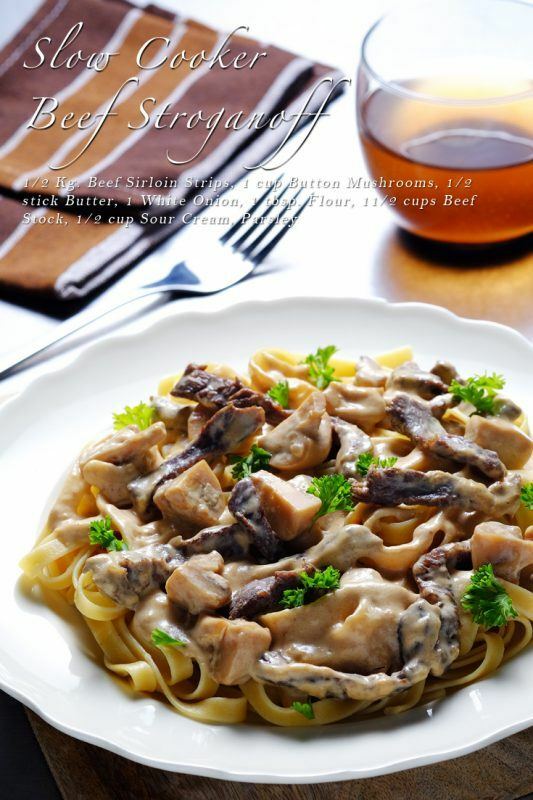 Plus, the stroganoff looks attractive on the plate as well, especially if you pair it with fresh pasta. Yum! those pictures and even the names of the dishes make me want to run to the store for the ingredients! If I don’t have a crockpot can I still cook these recipes in the oven? What type of roast would I want to get to prepare the beef Bulgogi? Looking forward to trying these and many of your other recipes. I’m sure you could adapt them to an oven, but they do best in the crock pot. Certain cuts of meat do better when slow cooked. I love you recipes. It made my mouth water just looking at the pictures. I have had a slow cooker for ages but could not find many recipes that inspired me so it was great to find your website. Your beef and lentil stew sounds very tasty. I will definitely be getting the slow cooker working with some of your lovely recipes. Glad I inspired you to start slow cooking again! 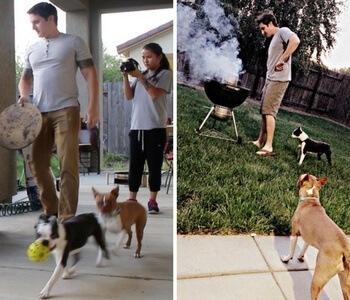 I really love the slow cooker and will continue to make more recipes as my site grows. Don’t forget to share on Pinterest! You can cook for me anytime, the most delicious photographs I have ever seen of mouth watering meals. Are you sure you are not a professional chef along with your other skills? Your article is very interesting for me since the majority of my meals comes out of my slow cooker, right now I have a tasty lentil stew brewing for my evening meal. I am wonder do you have any special cooking tools your would recommend such as a good food processor and blender both of mine are down right now? I don’t have a lot of experience with different brands of blenders or food processors, but Ninja is a great brand that I use. Not sure how it compares to others though! What time is dinner? These recipes look so yummy. My wife was just talking about making a beef crock pot I can’t wait to try one of your’s this weekend. Looking at number 7 I’ve never seen coconut vinegar in my area, my guess is I would need to visit a Trader Joe’s or order on line. Any suggestions for a place to start? Glad you came back to read this after reading my post on the Joule! They all look so good. I think I want to try the Beef Soup and the Asian Meatballs…those two look really good. 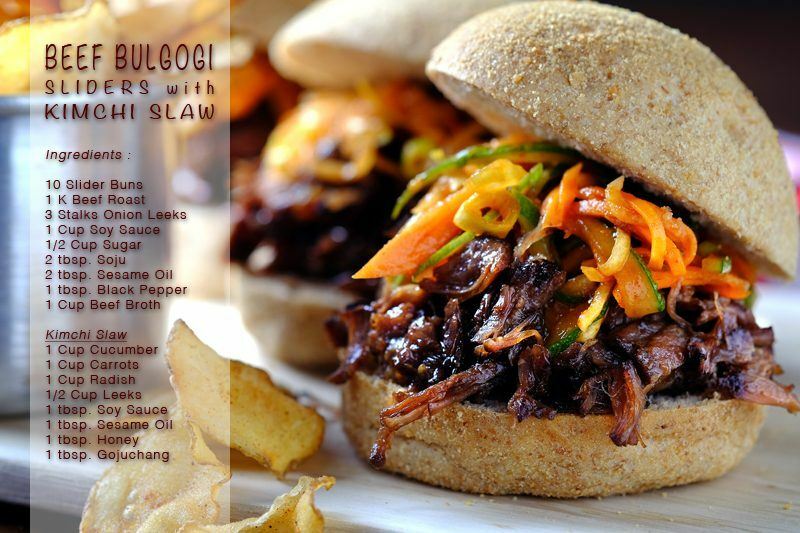 The bread on that Beef Bulgogi looks good. What kind of bread is that? I love my slow cooker, but I actually haven’t made that many beef recipes because I wasn’t sure what type of beef to use or what ingredients would compliment the beef. Your recipes look amazing! I can’t wait to try one (or more). Do you have a favorite that you often make? Hi! I love your website! It is one of my favorites. I always learn something on it and the photos all look so yummy! The only thing is it always makes me hungry! I’m really excited to try some of your recipes. I am wondering what wordpress theme you used because I also really love the layout of it. And, how long have you been developing this site? I must say that those dishes look yummy delicious, and make my mouth watery. My favorite is the Lentil Stew, because I love lentils and often cook it. I have never prepared it like that though, so thanks for sharing the recipe, which I will prepare the next time I cook lentil. 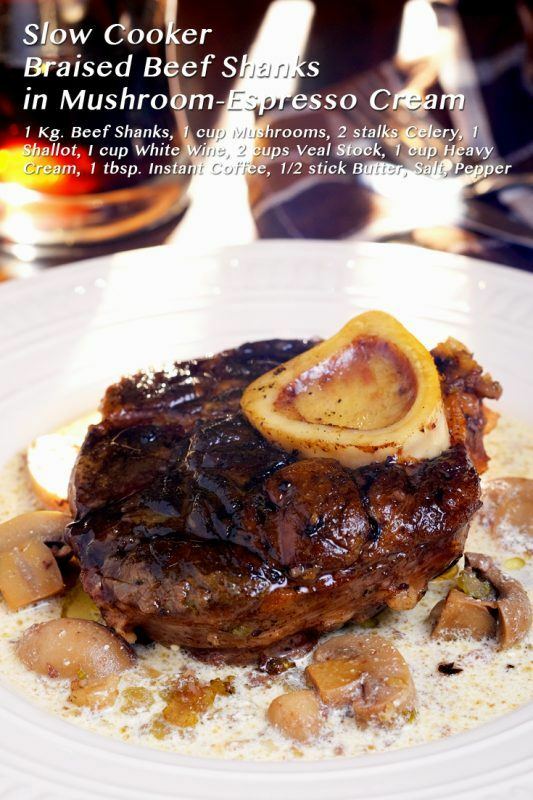 Even with the beef being added, it is still a low fat, low calorie dish. Beef! It’s what’s for dinner! Man, I love that picture of that smoked brisket you have at the top. Looks absolutely gorgeous. Amazing smoke ring too! These are some great recipes, and I must admit I’m always a little hesitant to put beef in the slow cooker. What is the secret for keeping the dishes as amazing looking as they are?